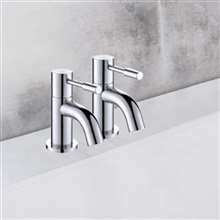 Modern and sophisticated – our Athenian bathtub faucet set is a good choice if you want to rejuvenate your bathroom. 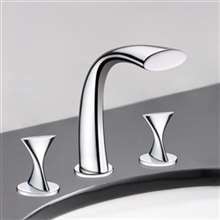 One of the best features is the waterfall spout, along with the crystal handles. 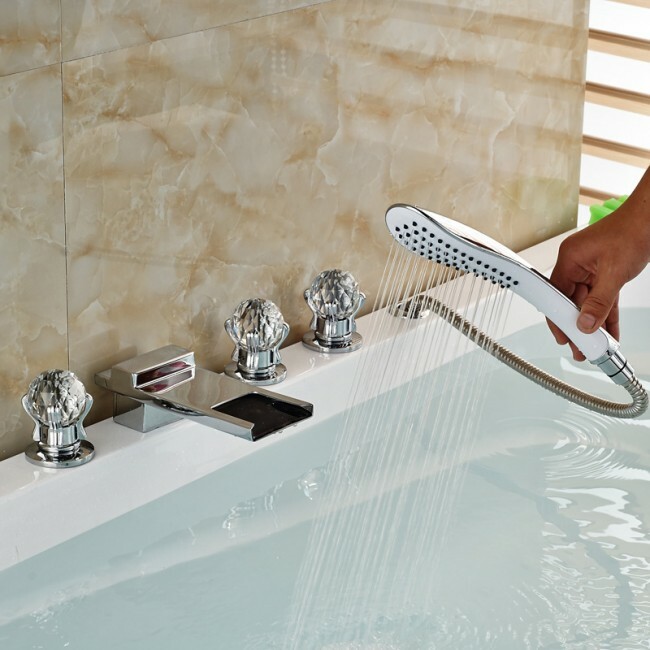 The set includes 3 handles and a pull out hand held shower head, all for your convenience. It is deck mounted, with hot and cold water mixer. Only the best materials have been used: the valve core material is ceramic and the faucet handle is zinc alloy, for improved functionality and long lasting life time. It comes complete with mounting accessories and installation instructions. This bathtub faucet set is much prettier than the old ones we replaced it with. The design is much more appealing and the finish is just gorgeous. We had some trouble during the installation but nothing that the plumber can't fix. After everything was set, the thing worked perfectly. The plumber also said that this is of good quality, so I guess we won't be having any problem with it any time soon. The one thing that I can complain about regarding this set is the handheld shower. It's kind of difficult to pull it out sometimes. Also, it's just as difficult to put it back in. I don't know what the problem is, maybe the wrong fit or maybe there's something wrong with the way it was installed. Still, it doesn't cause too much of a trouble, so I decided not to have the plumber check. 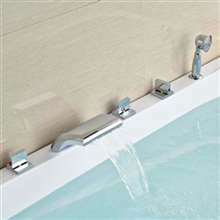 For the looks and function of this bathtub faucet, I'd say that it offers great value for money. I should know, because I bought one a couple of weeks back and I haven't had any issues with it whatsoever. I was first reluctant because I was worried that the crystal handles might come off, but that didn't happen and I was told by my plumber that it wouldn't considering the quality. 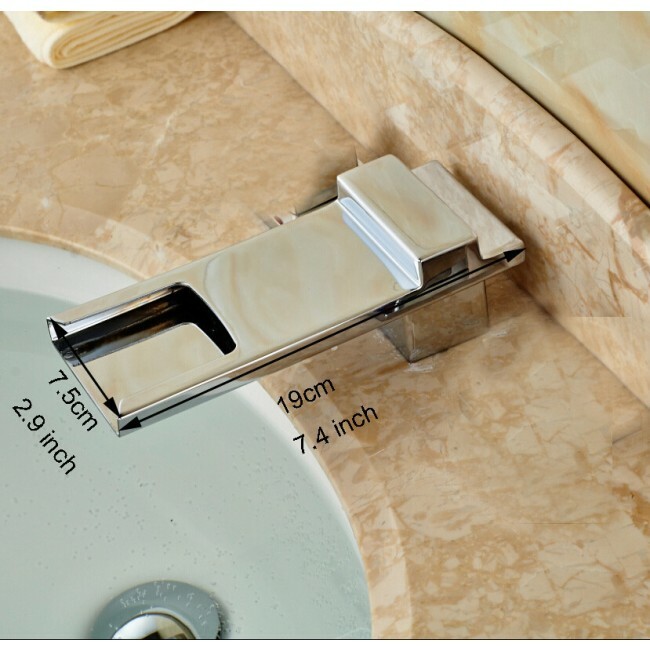 We're having the bathtub replaced and we decided to order a different set of bathtub faucet for it, and this one just looks so beautiful that we decided to go for it. Though everything looks absolutely pretty, we really liked the crystal handles the best. 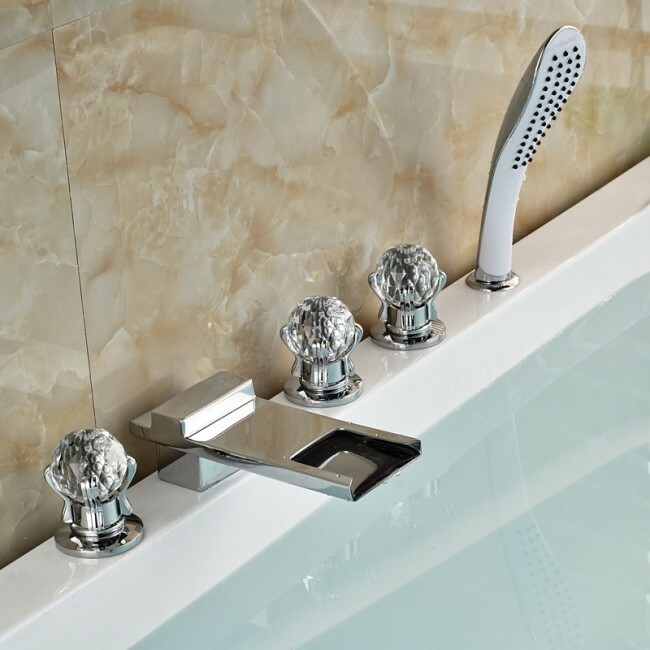 It gives this whole bathtub faucet set and the tub a sophisticated, luxurious and elegant appeal that we really love. 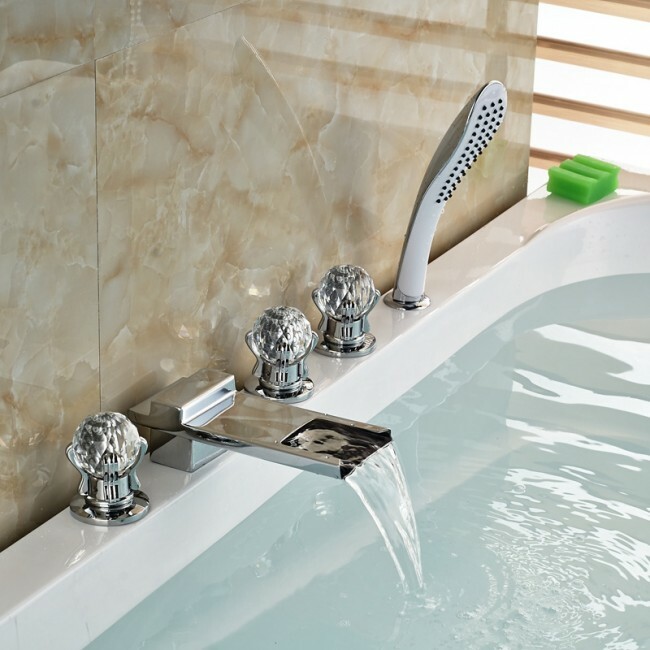 Ordering a separate faucet for the tub was truly one of the best design ideas we've made.